Welcome to www.partsonestore.com (the “Website”). The Website is owned and operated by Hillphoenix Parts, a brand of Hillphoenix, Inc. (“us” or “we”). This Website may contain other proprietary notices and copyright information, the terms of which must be observed and followed. Information on this Website may contain technical inaccuracies or typographical errors. Information may be changed or updated without notice. Hillphoenix Parts may also make improvements and/or changes in the products and/or the programs described in this information at any time without notice. We grant you a limited license to access and make personal use of the Website. No Content of the Website or any other Internet site owned, operated, licensed, or controlled by us may be copied, reproduced, republished, downloaded (other than page caching), uploaded, posted, transmitted or distributed in any way, or sold, resold, visited, or otherwise exploited for any commercial purpose, except that you may download one (1) copy of the Content that we make available to you for such purposes on a single computer for your individual use only, provided that you: (a) keep intact all copyright, trademark and other proprietary rights notices; (b) do not modify any of the Content; (c) do not use any Content in a manner that suggests an association with any of our products, services or brands; and (d) do not download Content so as to avoid future downloads from the Website. Your use of Content on any other website or computer environment is strictly prohibited. Hillphoenix Parts does not want to receive confidential or proprietary information from you through our Website. Please note that any information or material sent to Hillphoenix Parts will be deemed NOT to be confidential. By sending Hillphoenix Parts any information or material, you grant Hillphoenix Parts an unrestricted, irrevocable license to use, reproduce, display, perform, modify, transmit and distribute those materials or information, and you also agree that Hillphoenix Parts is free to use any ideas, concepts, know-how or techniques that you send us for any purpose. You further recognize that Hillphoenix Partsdoes not want you to, and you warrant that you shall not, provide any information or materials to Hillphoenix Partsthat is defamatory, threatening, obscene, harassing, or otherwise unlawful, or that incorporates the proprietary material of another.We will not release your name or otherwise publicize the fact that you submitted materials or other information to us unless: (a) we obtain your permission to use your name; or (b) we first notify you that the materials or other information you submit to a particular part of this site will be published or otherwise used with your name on it; or (c) we are required to do so by law. You can learn more about Hillphoenix Parts privacy practices on the Web. Hillphoenix Parts makes no representations whatsoever about any other website which you may access through this one. 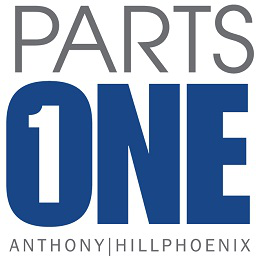 When you access a non-Hillphoenix Parts website, even one that may contain the Hillphoenix Parts logo, please understand that it is independent from Hillphoenix Parts, and that Hillphoenix Parts has no control over the content on that website. In addition, a link to a non-Hillphoenix Parts website does not mean that Hillphoenix Parts endorses or accepts any responsibility for the content, or the use, of such website. It is up to you to take precautions to ensure that whatever you select for your use is free of such items as viruses, worms, trojan horses and other items of a destructive nature. Hillphoenix Parts may, in its discretion, assign a password and account ID to you so you can access certain areas of the Website to, among things, purchase products. Each user who uses such assigned password and ID shall be deemed to be authorized by you to access and use the Website, and Hillphoenix Parts shall have no obligation to investigate the authorization or source of any such access or use. YOU ACKNOWLEDGE AND AGREE THAT AS BETWEEN YOU AND HILLPHOENIX PARTS, YOU WILL BE SOLELY RESPONSIBLE FOR ALL ACCESS TO AND USE OF THE WEBSITE BY ANYONE USING THE PASSWORD AND ID ASSIGNED TO YOU WHETHER OR NOT SUCH ACCESS TO AND USE OF THE WEBSITE IS ACTUALLY AUTHORIZED BY YOU, INCLUDING ALL COMMUNICATIONS AND TRANSMISSIONS AND ALL OBLIGATIONS (INCLUDING FINANCIAL OBLIGATIONS FOR PURCHASES THROUGH THE WEBSITE) THAT MAY RESULT FROM SUCH ACCESS OR USE. You are solely responsible for protecting the security and confidentiality of the password and ID assigned to you. You shall immediately notify Hillphoenix Parts of any unauthorized use of the assigned password or ID, or any other breach or threatened breach of the Website’s security of which you are aware. You will be responsible for any activity conducted under your assigned password or ID. YOU ACKNOWLEDGE THAT YOU HAVE CAREFULLY READ THIS “WAIVER AND RELEASE” AND FULLY UNDERSTAND THAT IT IS A RELEASE OF LIABILITY. YOU EXPRESSLY AGREE TO RELEASE AND DISCHARGE HILLPHOENIX PARTS AND ALL OF HILLPHOENIX PARTS' OFFICERS, DIRECTORS, EMPLOYEES, AGENTS AND AFFILIATES (EACH, A "HILLPHOENIX PARTS PARTY") FROM ANY AND ALL CLAIMS OR CAUSES OF ACTION AND YOU AGREE TO VOLUNTARILY GIVE UP AND IRREVOCABLY WAIVE AND RELEASE ANY RIGHT THAT YOU MAY OTHERWISE HAVE TO BRING A LEGAL ACTION FOR PERSONAL INJURY OR PROPERTY DAMAGE. Information Hillphoenix Parts publishes on the Worldwide Web may contain references or cross references to Hillphoenix Parts products, programs and services that are not announced or available in your country. Such references do not imply that Hillphoenix Parts intends to announce such products, programs or services in your country. Consult your local Hillphoenix Parts business contact for information regarding the products, programs and services which may be available to you. Hillphoenix Parts’ obligations with respect to its products and services are governed solely by the agreements under which they are provided. If you obtain a product or service from Hillphoenix Parts off this Website that is provided without an agreement, that product or service is provided "AS-IS" with no warranties whatsoever, express or implied, and your use of that product or service is at your own risk. UNDER NO CIRCUMSTANCES (INCLUDING NEGLIGENCE) SHALL WE BE LIABLE TO YOU OR ANYONE ELSE FOR ANY DIRECT, INDIRECT, INCIDENTAL, SPECIAL OR CONSEQUENTIAL DAMAGES (INCLUDING LOST PROFITS, REVENUES, BUSINESS OPPORTUNITIES OR BUSINESS ADVANTAGES), PERSONAL INJURY (INCLUDING DEATH) OR PROPERTY DAMAGE OF ANY KIND OR NATURE WHATSOEVER THAT ARISE OUT OF OR RESULT FROM: (A) THE USE OF, OR ANY INABILITY TO USE, THE WEBSITE OR ANY CONTENT OR FUNCTIONS THEREOF; (B) ANY ACT OR OMISSION, ONLINE OR OFFLINE, OF ANY USER OF THE WEBSITE OR ANYONE ELSE, EVEN IF WE HAVE BEEN ADVISED OF THE POSSIBILITY OF SUCH DAMAGES; (C) ANY OTHER HYPERLINKED WEBSITE; (D) ANY HILLPHOENIX PARTS INFORMATION, CONTENT OR OTHER MATERIAL OR SOFTWARE USED HEREIN OR THEREWITH; OR (E) ANY INFORMATION PROVIDED IN THE HILLPHOENIX PARTSSYSTEM OR ANY OBLIGATION UNDER OR SUBJECT MATTER OF THIS WEBSITE. IN NO EVENT SHALL OUR TOTAL LIABILITY TO YOU FOR ALL LOSS, COST, DAMAGE, LIABILITY OR EXPENSE (INCLUDING ATTORNEYS FEES AND COSTS) THAT YOU MAY SUFFER OR INCUR, UNDER ANY THEORY OF LIABILITY, IN CONTRACT, TORT (INCLUDING, BUT NOT LIMITED TO, NEGLIGENCE) OR OTHERWISE, EXCEED THE LESSER OF THE AMOUNT PAID BY YOU, IF ANY, FOR THE RIGHT TO ACCESS OR PARTICIPATE IN ANY SERVICES RELATED TO THE WEBSITE OR $100.00. UNDER NO CIRCUMSTANCES SHALL WE OR ANY OF HILLPHOENIX PARTS PARTY BE LIABLE FOR ANY DELAY OR FAILURE IN PERFORMANCE RESULTING, DIRECTLY OR INDIRECTLY, FROM ANY EVENT OF FORCE MAJEURE OR OTHER CAUSE BEYOND OUR OR THEIR CONTROL INCLUDING, WITHOUT LIMITATION, ACTS OF GOD, WAR, EQUIPMENT AND TECHNICAL FAILURES, ELECTRICAL POWER FAILURES OR FLUCTUATIONS, STRIKES, LABOR DISPUTES, RIOTS, CIVIL DISTURBANCES, SHORTAGES OF LABOR OR MATERIALS, NATURAL DISASTERS, GOVERNMENTAL ACTIONS, ORDERS OF DOMESTIC OR FOREIGN COURTS OR TRIBUNALS, OR NON-PERFORMANCE OF THIRD PARTIES. NEITHER WE NOR ANY HILLPHOENIX PARTS PARTY IS RESPONSIBLE OR LIABLE FOR: (A) ANY INCOMPATIBILITY BETWEEN THE WEBSITE AND ANY SITE, SERVICE, SOFTWARE OR HARDWARE; OR (B) ANY DELAY OR FAILURE YOU MAY EXPERIENCE WITH ANY TRANSMISSION OR TRANSACTION RELATED TO THE WEBSITE. YOU ASSUME THE RESPONSIBILITY TO TAKE ADEQUATE PRECAUTIONS AGAINST DAMAGES TO YOUR SYSTEMS OR OPERATIONS WHICH COULD BE CAUSED BY DEFECTS OR DEFICIENCIES IN THIS WEBSITE, ANY HILLPHOENIX PARTS INFORMATION, PRODUCT, SERVICE, SYSTEM, DATABASE OR MATERIAL, OR PART THEREOF. YOU ALSO ACKNOWLEDGE THAT ELECTRONIC COMMUNICATIONS AND DATABASES ARE SUBJECT TO ERRORS, TAMPERING AND BREAK-INS AND THAT WHILE HILLPHOENIX PARTS WILL IMPLEMENT REASONABLE SECURITY PRECAUTIONS TO ATTEMPT TO PREVENT SUCH OCCURRENCES, HILLPHOENIX PARTS DOES NOT GUARANTEE THAT SUCH EVENTS WILL NOT TAKE PLACE. YOUR INSTALLATION AND INPUTS, AS WELL AS THIRD PARTY SYSTEMS AND PROCEDURES, MAY INFLUENCE THE OUTPUT AND ERRORS IN ANY ORDER OR ELECTRONIC TRANSMISSION OR COMMUNICATION, AND CAN RESULT IN SUBSTANTIAL ERRORS IN OUTPUT, INCLUDING INCORRECT INFORMATION, ORDERS AND AGREEMENTS. IN ADDITION, ERRORS MAY BE INTRODUCED INTO INFORMATION OR ORDERS IN THE COURSE OF THEIR TRANSMISSION OVER ELECTRONIC NETWORKS. YOU SHALL IMPLEMENT AND TAKE RESPONSIBILITY FOR APPROPRIATE REVIEW AND CONFIRMATION PROCEDURES TO VERIFY AND CONFIRM ORDERS OR OTHER TRANSACTIONS IN WHICH YOU PARTICIPATE USING HILLPHOENIX PARTS' WEB SITE, INFORMATION, SERVICES, DATABASES, SYSTEMS OR OTHER MATERIAL. Any dispute relating in any way to your visit to the Website or to products you purchase through the Website shall be submitted to confidential binding arbitration in Chesterfield County, Virginia, United States of America, except that, to the extent you have in any manner violated or threatened to violate our intellectual property rights, we may seek injunctive or other appropriate relief in any state or federal court in Chesterfield County, Virginia, United States of America, and you consent to exclusive jurisdiction and venue in such courts. Copyright © 2019 Parts One. All rights reserved.